Whoa! These Actors Look A LOT Younger Than They Actually Are! A lot of the time, you sort of assume by the way someone looks that they are a certain age. Without actually looking it up on the internet where you can easily find that information, you make these assumptions about how old certain actors and actresses who are in the business generally are. But the truth is, there are certain celebrities who might play a character who is much younger than the age they actually are! Whether or not you want to believe it, here are some celebrities who are way older than you probably thought that they were. I have some news for you that might change the way you watch Mean Girls. Rachel McAdams was actually 25-years-old when she played Regina George. The directors probably figured no one would guess she was that old and they were right! Twelve years later, the 37 year old Mcadams could still play high schooler because she hasn’t aged a bit! While she still looks younger than she is, no one would think she is a teenager anymore considering she does much more sophisticated roles now. Elizabeth Banks looks like she could be the same age as Rachel McAdams but she is actually a few years older, at the age of 44. She has been acting since 1998 and became a prominent actress, being in movies such as Seabiscuit, The 40-Year-Old Virgin, and Pitch Perfect. Recently, Banks became associated with the Hunger Games movies, playing the eccentric Effie Trinket. This raises a very important question that may never be answered: Why, and more importantly how, do blondes age so much slower than the rest of us? 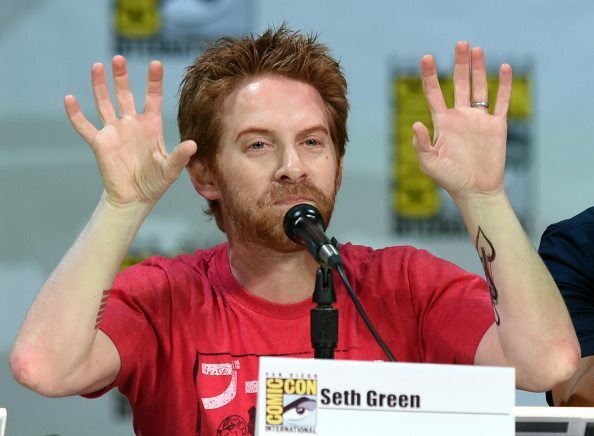 I think by now, everyone realizes that Seth Green is older than he actually looks considering he has been around forever. Maybe when he was on the TV show, Buffy the Vampire Slayer he figured out the secret that keeps vampires from ever aging. The 44-year-old seems to have a knack for playing a annoying teenager in movies/shows and is currently still the voice of Chris Griffin on Family Guy. What is Hollywood going to do when he finally (if he ever does) ages? Maybe the key to everlasting youth is to get into martial arts. It has definitely worked out for Chuck Norris who was introduced to Tang Soo Do while he served in the United States Air Force. When he was 50-years-old, he became the first Westerner of Tae Kwon Do to be given the rank of 8th Degree Black Belt Grand Master. He became famous through his talent and landed movie roles, including Bruce Lee’s Way of The Dragon and many others, making his name even more known. 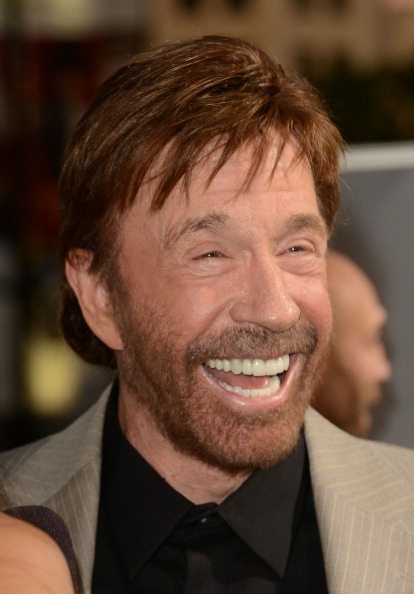 You know what they say, Chuck Norris doesn’t need to worry about old age, old age needs to worry about Chuck Norris, even at 78! Elijah Wood will always be one of those actors that can be cast for roles where the character is a whole lot younger than he actually is. 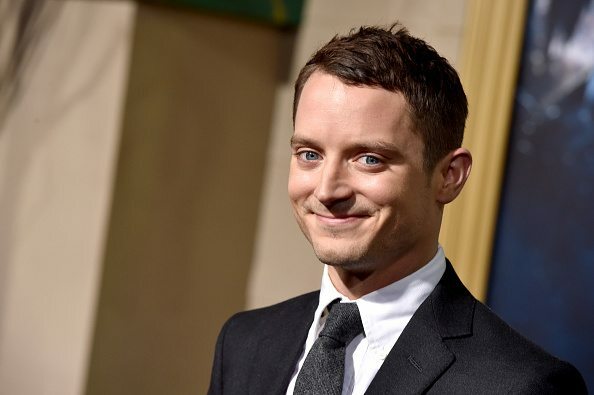 He has been in the entertainment industry since he was 7 and is best known for playing the hobbit, Frodo Baggins, in The Lord of the Rings films. That trilogy ended in 2003 and yet, the actor still has that same boyish face at the age of 37. Ariana Grande and I have something in common, we are both in our early twenties but look like we are still in high school. 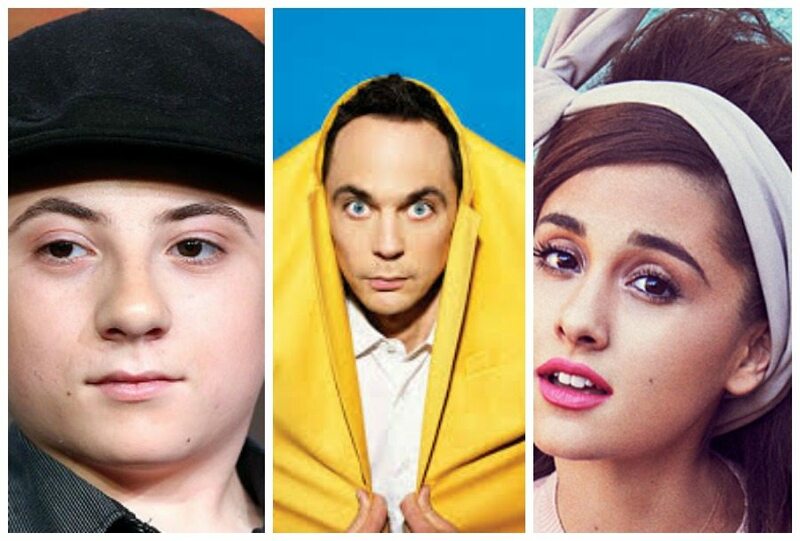 She started her career as a character on the Nickelodeon show, Victorious, and went on to eventually get her own show on the network, Sam & Cat. The actress released her first album in 2013 and is now more focused on her singing career than acting career. Maybe she would look older if she didn’t put her hair in a high ponytail, wear cat ears, and teenage clothing. 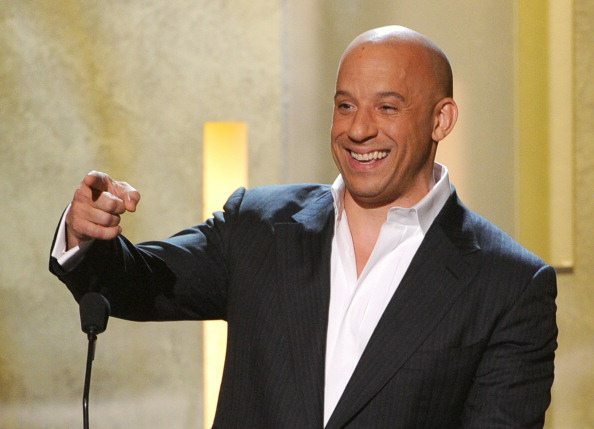 If you were to guess Vin Diesel’s age, I bet 51 wouldn’t be one of your guesses! It is true, though. The American actor, producer, director, and screenwriter was born in 1967 and has been in Hollywood since he was 23-years-old. He is mainly known for his role in the Fast and Furious franchise and The Chronicles of Riddick series. Recently, he became associated with Marvel Comics as he voiced Groot in the film, Guardians of the Galaxy. Not every bald man can pull off looking this young! Sandra Bullock still looks as good as she did when she was in a beauty pageant in the 2000 movie, Miss Congeniality! In 2015, she was named People Magazine’s “most beautiful woman” and honestly, she could have won it years ago because her looks don’t change much! The Oscar winner is by far one of Hollywood’s highest paid actresses and definitely on the A-listers list – and definitely for good reason. Even after going through a divorce and entering motherhood, the 54-year-old still looks as good as ever! It is funny to think that Jennifer Lopez’s parents didn’t want their daughter to go into the entertainment industry because they believed she wouldn’t excel since she is Hispanic. Boy, were they wrong! In 1998, J.Lo was the first Latina actress to earn over $1 million for a role in a film! Now, she is one of the must successful Latinas ever and certainly a busy bee, but that doesn’t seem to have given her a single wrinkle! At age 47, she is an actress, singer, author, dancer, producer, and fashion designer! 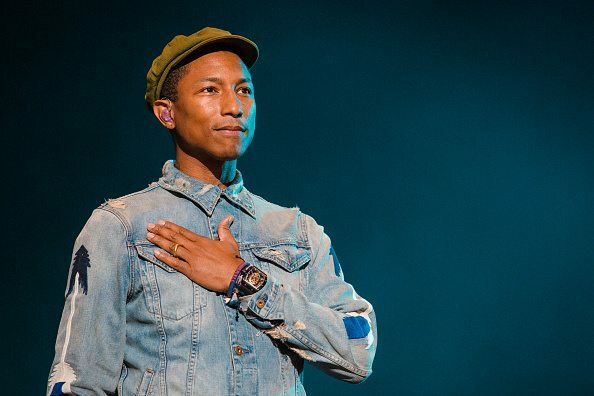 We bet hotshot singer and songwriter Pharrell Williams gets happy when people mistake him for being younger than he is! It’s actually insane: The man even looks younger than Robin Thicke, with whom he collaborated for the song, Blurred Lines. Maybe it is his successful music career and having a 38-year-old model for a wife that makes him look younger than he really is! Or maybe it is because he is associated with Despicable Me. Either way, it is hard to imagine that Williams is 45! While the actor doesn’t necessarily look young, he certainly doesn’t have the appearance or manner of a 69-year-old. 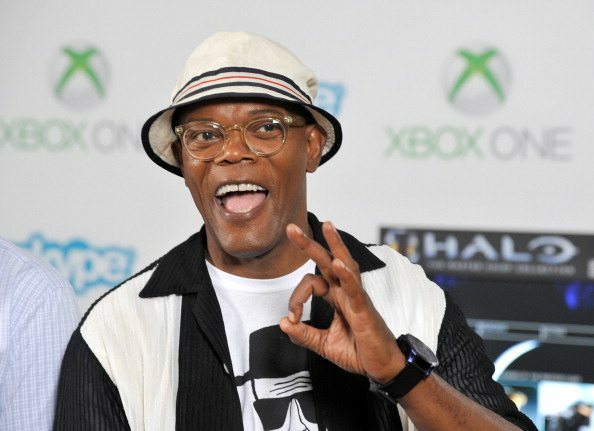 Samuel L. Jackson does swear more than your average grandpa! As an actor and producer, he has been in show business since 1972 and is still going strong. He seems to have a typecast for being a bada** MF – think Pulp Fiction – but a favorite character of his is Nick Furry in the marvel comic movies. Anybody else wish they could have Jackson for a grandfather? 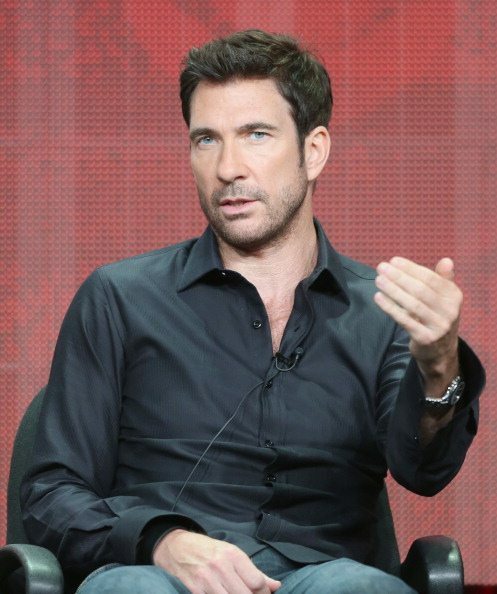 Most people now associate Dylan McDermott for his role in the first two seasons of the TV show, American Horror Story, but he has actually been acting since the late 80’s. Considering he was a DILF on both that TV show and on The Practice, it is easy to view him as a 30-something-year-old. But Dylan McDermott is not in his 30s, or 40s. The actor is actually 56, with two children and currently married to his second wife, Maggie Q. AHS should consider bringing back this attractive man who doesn’t seem to age! Have you ever seen Jared Leto without a beard? He definitely has a baby face and it is no wonder he chooses to always have thick facial hair. 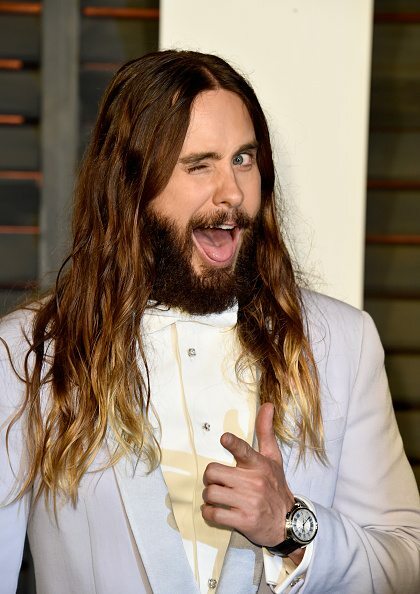 Yet even with the beard, he doesn’t look like a 46-year-old and he still has that young rocker look he had when he was in the band, 30 Seconds to Mars. Leto won an Award Academy for his role as a transgendered woman in Dallas Buyers Club back in 2013, and is known to have some pretty impressive acting chops. Whether you loved him as the Joker in Suicide Squad or not, you have to admit he certainly made the villain look younger than previous versions! For a bald guy, Patrick Stewart looks good for his age and can even be mistaken for being much younger. The 78-year-old has been acting since he was in his 30’s but it doesn’t look like the English actor will be retiring anytime soon! He was most memorable playing Captain Jean-Luc Picard in the Star Trek series and as Professor Charles Xavier in the X-Men series – two heavy hitters . We bet his son Daniel is hoping that he inherits his father’s exceptional genes. And charm! 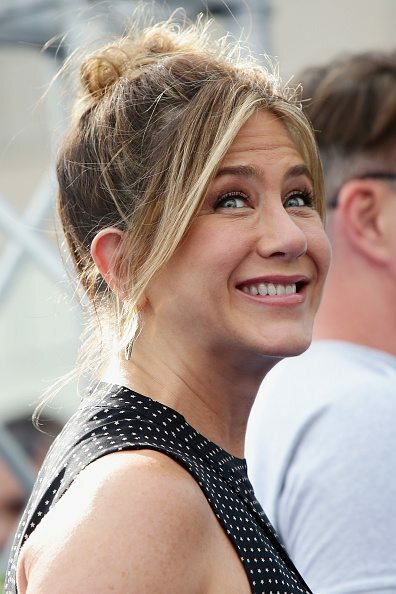 As one of the highest paid actresses in Hollywood, Aniston isn’t just an actress, she is also a businesswoman and the face of Aveeno Skincare. Excuse me while I go try to bath in Aveeno products with hopes that I can have skin as perfect as hers when I am 49! 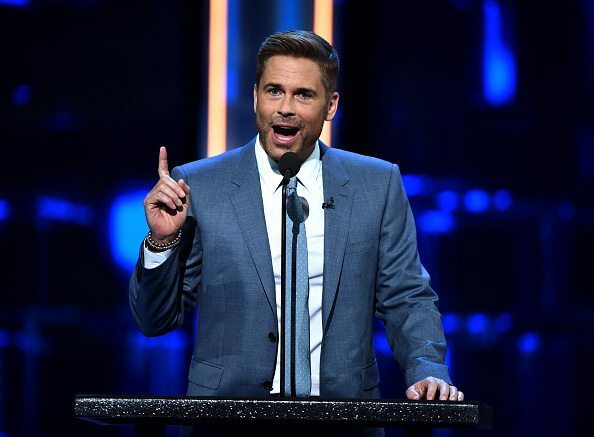 Rob Lowe was one of the members of the very successful Brat Pack that appeared in coming-of-age movies back in the 80’s and his face hasn’t aged that much since then. The man is currently 54-years-old, married to Sheryl Berkoff and has two kids! Lately, we saw him play alongside Fred Savage in Fox’s TV show, The Grinder, that first aired in 2015 and only lasted a seasoon. What is with the Brat Pack looking like they all took a dip in the fountain of youth? Paul Rudd is another Friends character who doesn’t look that much older and Phoebe would have certainly been happy about that. If you showed the younger generation the movie Clueless, they would probably think it was recently filmed because his character Josh still looks very much like him. The fact that his character gets shrunk to the size of an ant really doesn’t help add age to him! Nothing really seems to add age to this comedy icon. 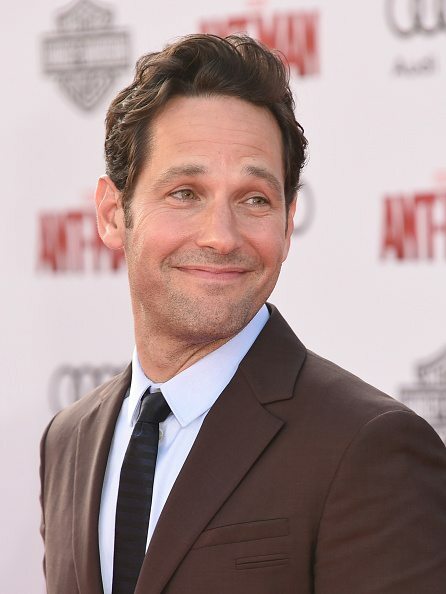 Now he is a 49-year-old that is part of the Marvel franchise, playing Antman. Growing up, I had a huge crush on Uncle Jesse along with many other girls who watched Full House and my crush is still going on considering John Stamos still looks exactly the same. We all made fun of his obsession with his hair but maybe that is the secret to eternal youth! While he isn’t on TV as much as he used to, we did love him in the short lived series, Grandfathered. The fact that the actor is also a musician definitely sheds some age off of him. 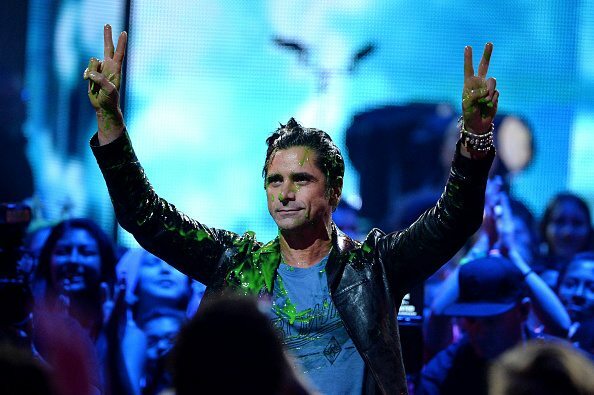 It’s hard to believe Stamos is 55 years old! Redheads tend to have sensitive skin, but Julianne Moore doesn’t let that put her down! The talented actress has been around since the 1980’s and has been quite successful since then. She may play a lot of emotionally troubled women, but that doesn’t add any wrinkles to her face! Can you believe this youthful woman is actually 57 years old? As well as looking young, Moore keeps her spirit young by writing books for children! One of the books she wrote is titled Freckleface Strawberry, which eventually became a series. Gwen Stefani is definitely doing something right – she doesn’t seem to ever age! If anything, she only seems to look better and better. The No Doubt singer, who’s been in the public eye since the band’s third album, Tragic Kingdom, hit the charts in 1995, was born on 1969, making her 49 years old! Along with No Doubt, Stefani has also released several solo albums, created a successful fashion line called L.A.M.B, and most recently, starred as a judge on the music talent show, The Voice, where she met her current partner Blake Shelton. Now this one’s a shocker. Hannigan’s been in the public eye since the 90’s when she played Willow in Buffy The Vampire Slayer and Michelle on American Pie, but would you believe she’s actually 42?! She doesn’t look a day over 30, and even that’s a stretch. 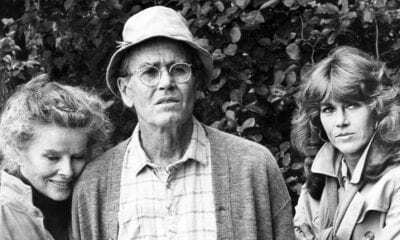 Hannigan’s first major role was in 1988, when she took part in a sci-fi comedy called My Stepmother is an Alien. Fun fact: She babysat for actor Bob Saget’s children, years before they costarred in How I Met Your Mother! This handsome British-American actor fooled us all when he played the young, high school-aged Peter Parker when he was actually 28. He’s currently 33, and definitely doesn’t look it! Being romantically tied to the fresh faced and beautiful Emma Stone, who’s 6 years younger than Garfield, sure doesn’t hurt. Young Garfield was a gymnast and a swimmer back when he was a young boy and even thought about going to business school, but eventually decided to become an actor. Lucky for us! Yeah, remember him? 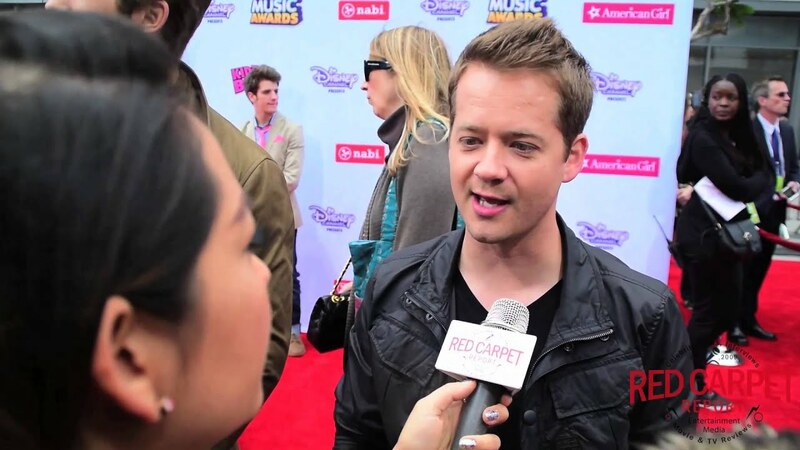 He played Jackson Stewart on the hit Disney “Hannah Montana”, and then moved on to another Disney XD show called “Kickin’ It”. When he started off on “Hannah Montana”, he was already a 28 year old man playing a teenage boy! Yes, he was already a married man when he started that show, and now he’s already 39 years old! Though he’s added some facial hair to his young look, he still really hasn’t aged much since his Disney debut back in 2006! Another older lady who looks much younger than you’d assume she is – basically every woman’s dream, right?! You probably recognize Bianca from her role on the hit ABC Family show “Pretty Little Liars”, where she played Emily’s girlfriend who moved into Allison’s old house, Maya. Lawson was even on “Saved by the Bell”! Now she’s 37 years old, but could easily still pull off playing someone in their late teens or early twenties on television or in any movie if she wanted to! 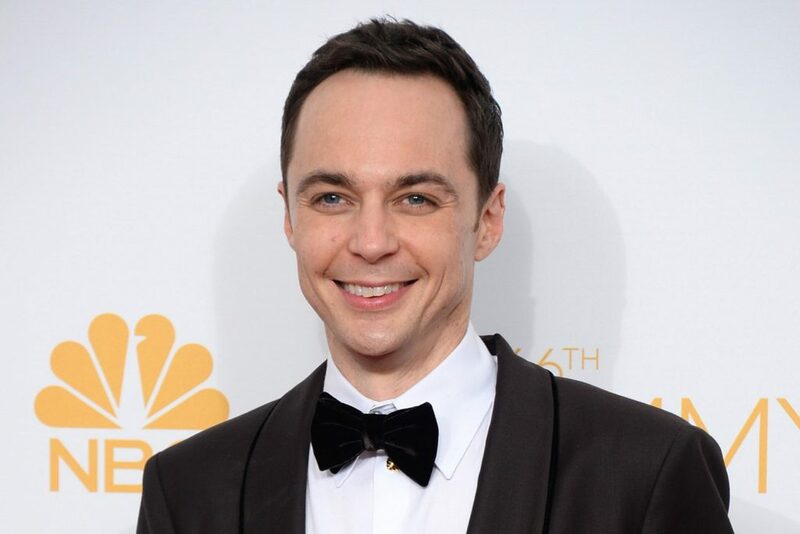 The hilarious Jim Parsons brings us joy and lots of information about physics and comic books on a weekly basis thanks to “The Big Bang Theory”. You’d probably guess that he was much younger than he actually is, maybe somewhere around his early to mid thirties like we assume that his character Sheldon Cooper is. But in actuality, Parsons is over 40! Maybe playing a character who is so intelligent, neurotic, and such a know-it-all keeps you looking super young? This gorgeous lady started her career back in the ’90s, but you’d never guess that she was already 43 years old! From her amazing roles in movies such as “Bring It On” and “10 Things I Hate About You”, we’ve loved seeing Union on screens big and small for over 20 years. Nowadays, Union’s still pursuing her acting career, and recently became married to NBA athlete Dwayne Wade in 2014. Remember the original Karate Kid? Other films he’s been in were “Crossroads”, “My Cousin Vinny”, “The Outsiders”, and the TV show “Eight is Enough.” Well even though we all knew he was a kid back then, Ralph Macchio still really doesn’t even look like he’s aged much since the movie back in the 80’s! You’d never know it by just looking at him, but he’s already 54 years old! To this day he is still doing a bit of acting, doing small roles and appearances on different shows and of course competing on the 12th season of “Dancing With the Stars” a few years ago. As she has mentioned in may different interviews, Sarah Hyland has almost always played a character who was much younger than the actual age she is. The 25-year-old native New Yorker is currently starring in one of the biggest shows on television, “Modern Family”, where she plays 22-year-old Haley Dunphy. When she first got the role of Haley, she was supposed to be playing a 15-year-old when she was already 18! She’ll probably be able to pull off playing a younger character in her late teens and early twenties for at least the next couple of years, if not even longer if she continues looking so incredibly young. 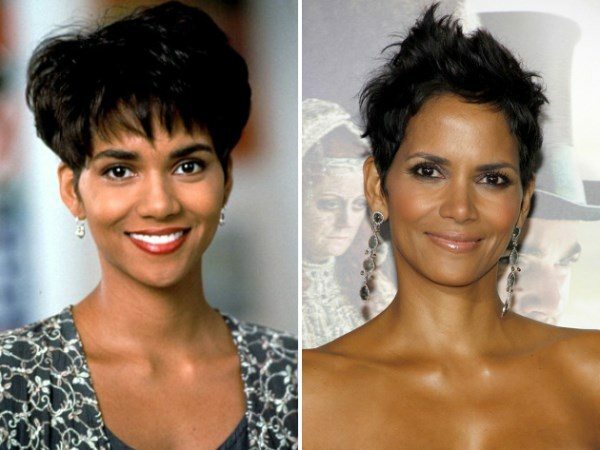 Halle Berry is HOT, even now that she’s 50 years old! Doesn’t she just absolutely look like the youngest 50-year-old ever? There have been rumors that Berry has gone under the knife, but even so, she still looks amazing, and there’s only so much that plastic surgery can do! She even looks better than she did when she was younger. Berry first became an actress well over 20 years ago, but she’s still going strong in the acting business. From movies like Cloud Atlas to the X-Men trilogy, Berry has done it all. 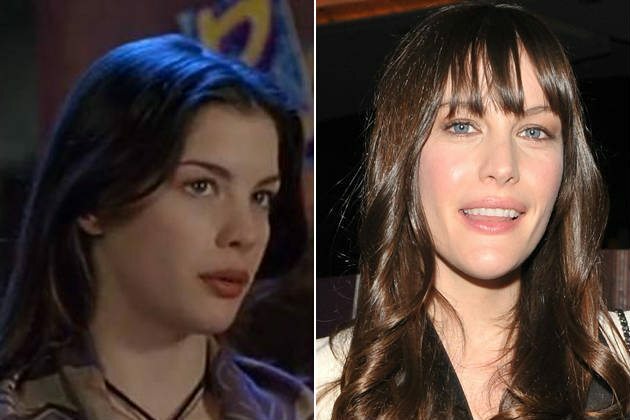 Liv Tyler is only 1 year away from turning 40 years old… can you believe it? Liv Tyler is naturally gorgeous and has always been, so it’s easy for her to remain timelessly beautiful! Flawless skin, gorgeous locks, magnetic eyes and the rock’n’roll attitude she got from her father, Aerosmith frontman Steven Tyler, there’s nobody quite like her! Liv Tyler shot to fame for her part in the Aerosmith video for “Crazy,” which came out back in 1993! She was pretty young then… but she still looks amazing 23 years later! 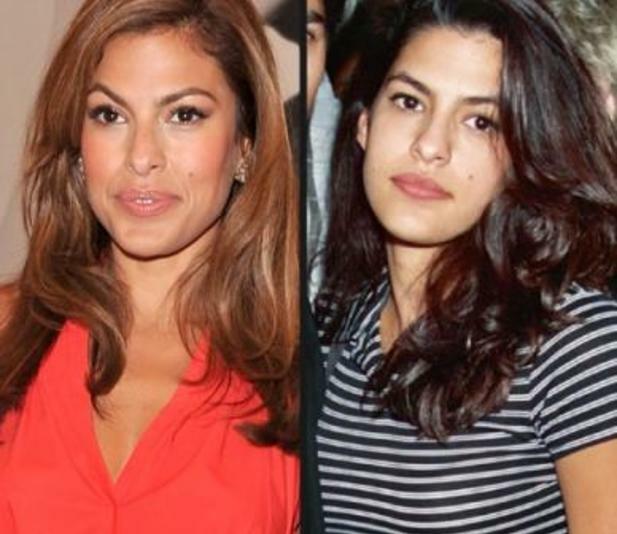 It’s really hard to believe that Eva Mendes is over 40 years old because she still looks so darn awesome! Mendes is naturally gorgeous – she’s another one of those celebrities that always seems to have great skin, flawless hair, and the most gracious demeanor. Mendes didn’t really become a big star until her late 20’s, but she’s still been in the world of showbiz for nearly 20 years! And she’s looked amazing for all of those years. Being married to Ryan Gosling probably doesn’t hurt! If anyone were to guess just how old Joseph Gordon-Levitt is, they’d probably guess somewhere around the mid-20’s, but he’s actually a decade older than that! 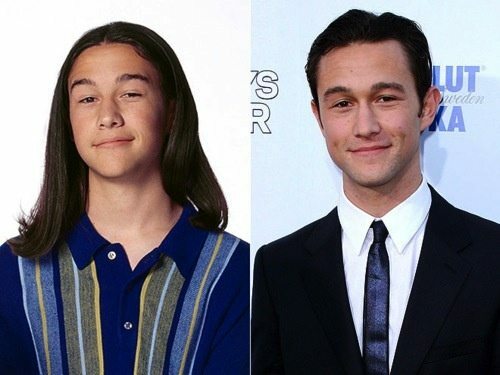 Of course, Gordon-Levitt has been around for forever, proving his acting skills are amazing time and time again. He’s really boomed in the last couple of years, making more high profile films than ever before. Our guess is that he’ll continue making those films – and still keep on looking just as young! The next ageless celeb is known for his quirky roles and amazing bone structure. Can you guess who it is? 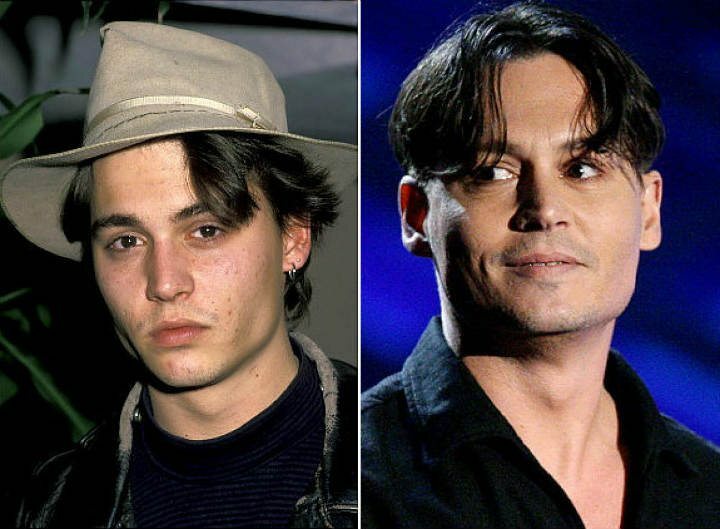 Johnny Depp is a tricky celebrity to categorize because he always looks different! Sure, he definitely looks different and much older than he did when he was acting on 21 Jump Street, but to be fair, he was already 24 years old when he was making that show, and he looked like a teenager! 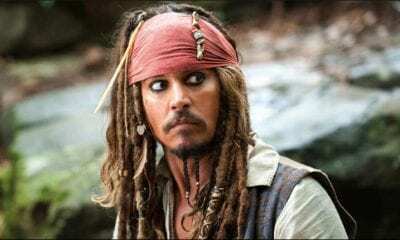 The Pirates of the Caribbean star’s look did change over time, but he does not look 53! His hair is longer, he’s got facial hair, and he’s always debuting some sort of new accessory or another. He’s like a low-key Jack Sparrow! 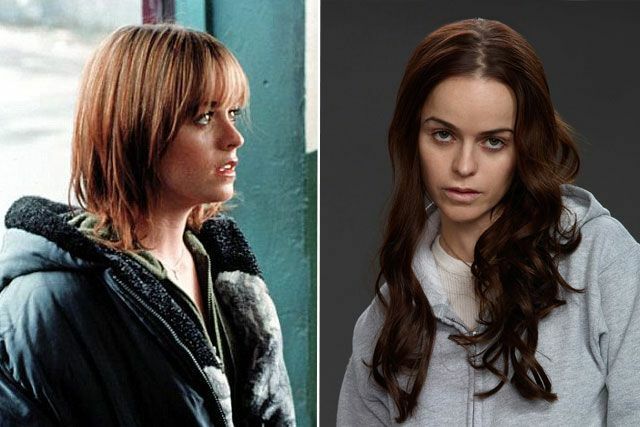 Taryn Manning is 37 years old, though we would have never guessed anything near to that age! She’s always playing the young woman in her movies, which include titles such as 2001’s Crazy/Beautiful, 2002’s Crossroads, and 2002’s 8 Mile. Nowadays, Manning has donned an orange jumper to have a role on Orange Is The New Black, where she looks even younger than before! Morgan Freeman is nearly 80 years old, can you believe that? It’s not exactly as if he looks like the youngest guy on the block, but he definitely looks younger than he is… At least, he hasn’t aged at all in the past 20 years! The only difference that we can really see is that his hair looks a little bit grayer. 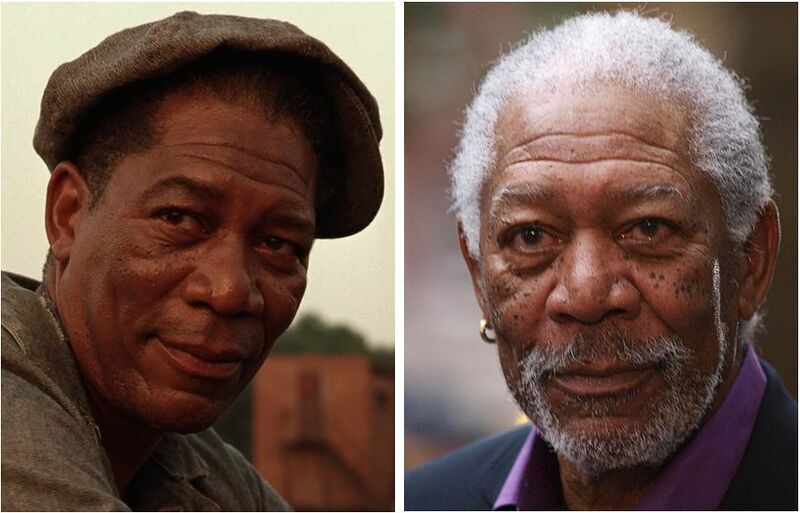 Not only does Morgan Freeman still look great, but he also is super active as an actor for being 80 years old. He’s making a ton of movies every year, and his acting is just as great as ever! 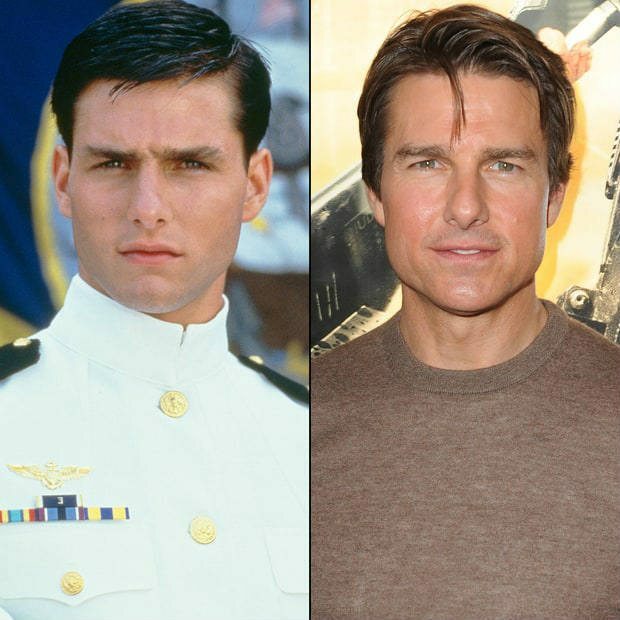 It’s really hard to believe that Tom Cruise is anything over the age of 50. He still looks great, and is still making all of those badass action films that we love him for! He’s had his share of rough times in the media, but none of that has affected the way he looks even in the slightest. 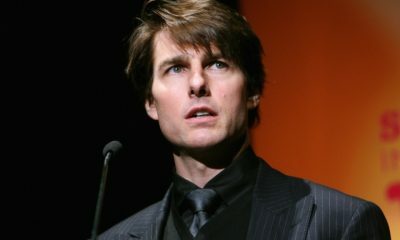 Unfortunately, the current rumor is that Tom Cruise is about to make a full break from Hollywood so that he can move closer to the new Scientology headquarters in Florida. Oh no! The next ageless celeb looks half her own age! Can you guess who she is? Jena Malone is a fierce and beautiful actress and musician. Most of her roles are in their late teenage years or early 20’s… but Malone herself is actually 31 years old! One of her biggest roles has been Johanna Mason in the Hunger Games series, and she’s much younger than Malone! She still looks pretty much the same as when she started. 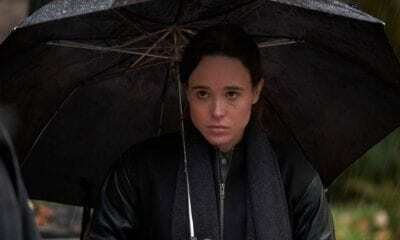 Remember her role in the 2001 film Donnie Darko? That was 15 years ago! Forest Whitaker is an amazing actor that has won several awards for the fantastic work that he’s done in films such as Bird, Platoon. In Lee Daniels’ The Butler, he actually played the title character in every stage of life, from him being a young man to a senior citizen. Whitaker can basically play roles that fall at any age, though he himself is 55! He doesn’t tend to change very much! Just look at the cute little Justin Long! 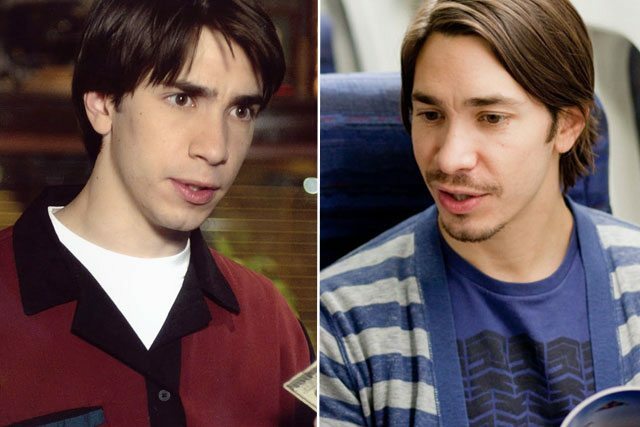 Whether or not he’s rocking facial hair, Justin Long always looks like he’s a teenager (or at the very least underage!). Many of Long’s characters are just as young as he looks. In 2005’s Waiting and 2006’s Accepted, his characters are much younger than him! His choice of roles are growing up a little bit, but they’re still mostly younger than he is. After all, he definitely doesn’t look 38! The next ageless celeb is someone you probably remember from American Pie! The blonde haired Natasha Lyonne has always been playing roles that are younger than her… ever since the 1990’s! Remember when she was in the iconic late-90’s films American Pie and Slums of Beverly Hills? Well, her characters now are pretty much the same age! Of course, Lyonne is now 37, but that hasn’t changed anything. She’s donned a jumper for Orange Is The New Black, but she hasn’t lost her youthfulness! 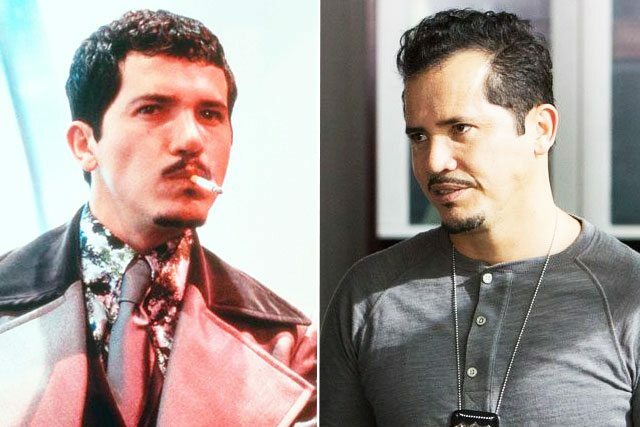 Guess how old John Leguizamo is. 52! That’s right, this man who looks like he’s in his mid-30’s is actually over 50 years old! 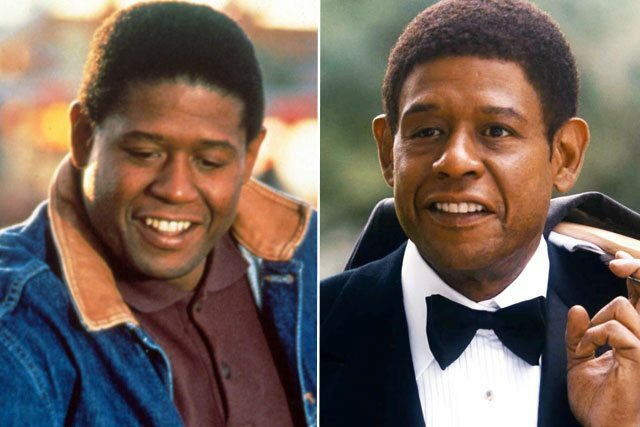 You can try comparing his character from 1993’s Carlito’s Way to his role in 2014’s Ride Along, but you won’t see much of a difference! Leguizamo pretty much always plays people in his mid-30’s, and will probably keep doing that! We’re willing to bet Sid the Sloth is also in that age range. The next ageless celeb always looks so bubbly and youthful, it’s pretty crazy she’s 40 years old! Reese Witherspoon just turned the big 4-0 not so long ago, but she still looks amazing! 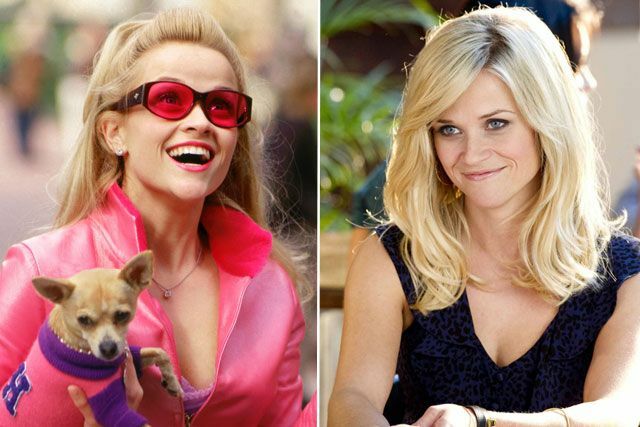 We all love Reese Witherspoon because she seems so relate-able, and we all also want to look as amazing as her! She’s another case of an actress that plays much younger roles. In 2011’s Water for Elephants, her love interest was the 30-year-old Robert Pattinson, and in 2012’s This Means War, she had the affections of Chris Pine and Tom Hardy! Can you believe that Keanu Reeves is 51 years old? We never would’ve guessed that! 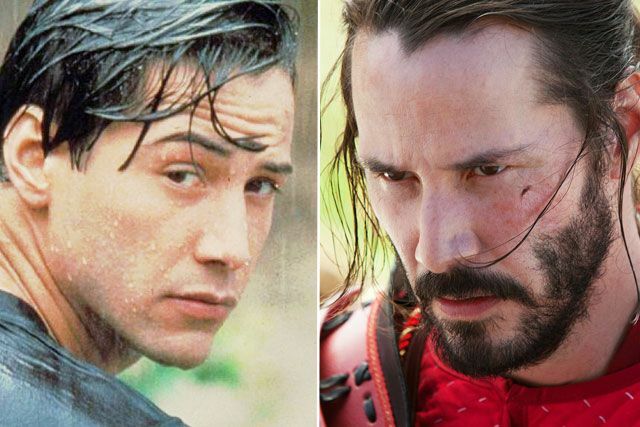 Reeves looked much younger in 1991’s Point Break, and don’t even get us started on 1999’s The Matrix! Reeves looked like a teenager in that role, and he was already 35! Even in his more recent films, like 2013’s 47 Ronin, Reeves still can’t shake off that eternally youthful look that he seems to have. If you had told us that Zoe Saldana was nearly 40 years old, we would have never believed you! However, the gorgeous actress is 38 years old! Crazy how the time flies. She’s also always played youthful roles. In 2000’s Center Stage and 2002’s Crossroads, she played teenagers! Even in her more recent roles, like Uhura in the Star Trek series, she looks like she’s in her early 20’s. And she’s just as beautiful as ever! The beautiful Viola Davis is now over 50 years old, though her effortless beauty is absolutely classic. She’s always had a big range of roles, but for once, she’s playing a character close to her actual age! 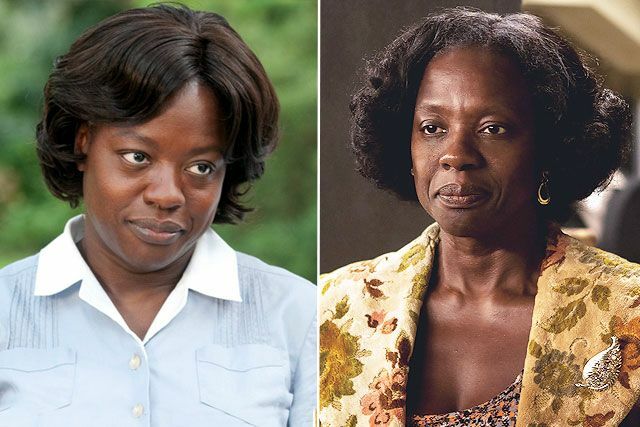 Her dramatic role in How To Get Away With Murder is actually 48 years old! Davis has had a ton of amazing roles, however, such as in the world-renowned films The Help and Get On Up. Kate Beckinsale is over 40 years old and has a teenage daughter, but that doesn’t mean that she still isn’t hot and looking young! She also plays very young roles… In 2014’s Stonehearst Asylum, her character is very beautiful and is barely getting her first job! She’s been on the scene for over 20 years, and we expect that she’ll keep looking as amazing as ever for many years to come! 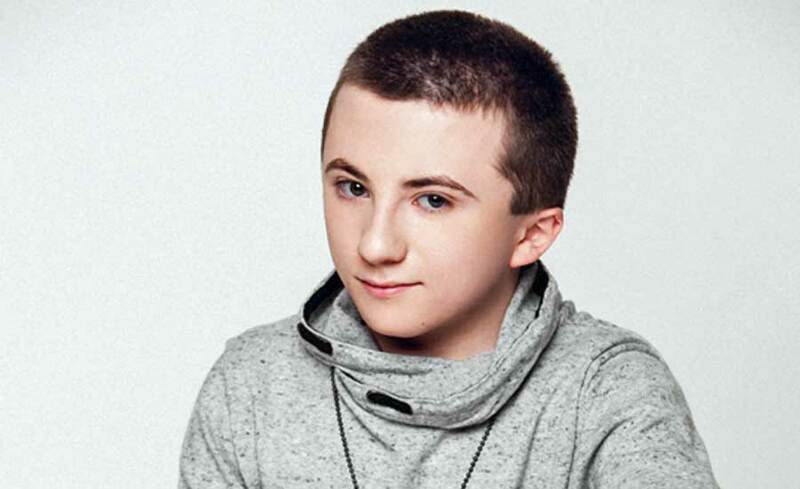 You probably know this little kid actor from the hit show on ABC, “The Middle”. Atticus plays the youngest kid on the show Brick Heck, a strange little kid with social interaction issues, not many friends, and loves everything about reading books. But did you know that he’s now 18 years old?! Shaffer suffers from an illness called osteogenesis imperfecta aka brittle bones, that makes him look way younger than he actually is! Right now in the show, Brick is only supposed to be 13 years old, and he doesn’t even look that old! Don’t forget to SHARE this article if you wished you looked this young!